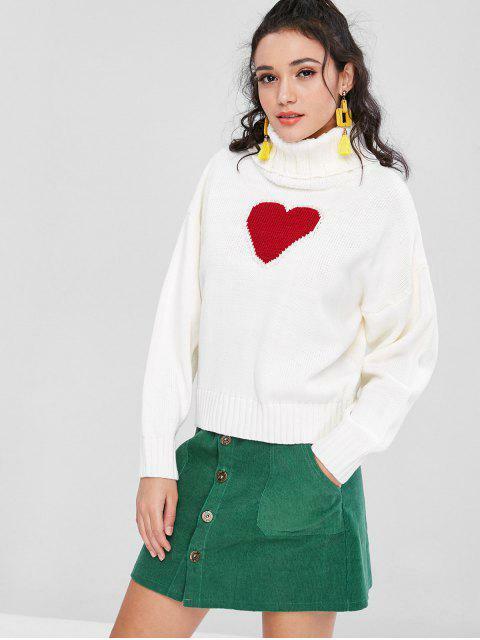 [60% OFF] 2019 Heart Faux Pearls Sweater In WHITE | ZAFUL ..
Super cute and of fantastic material. If you are just looking for a turtlecollar sweater that is enough to keep warm for those cooler days, this pullover sweater is the perfect pick that satisfies your commands. Designed with a contrasting heart graphic that is surrounded by the faux pearls to create a two-tone design for a playful, sophisticated look, it is so cozy with its relaxed profile and easy to pair with jeans to complete the look.